Frailty.net brings you news on upcoming events and details on some past conferences. Congress details of past events. 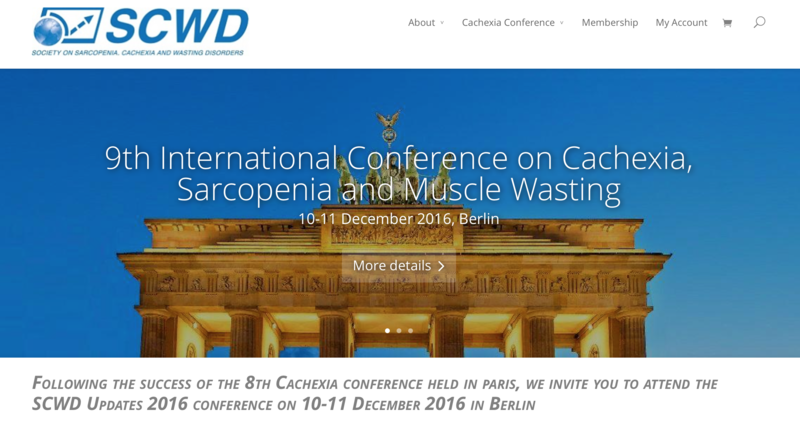 View the full Iinternational Conference on Frailty and Sarcopenia Research – ICFSR Program PDF – 2016. 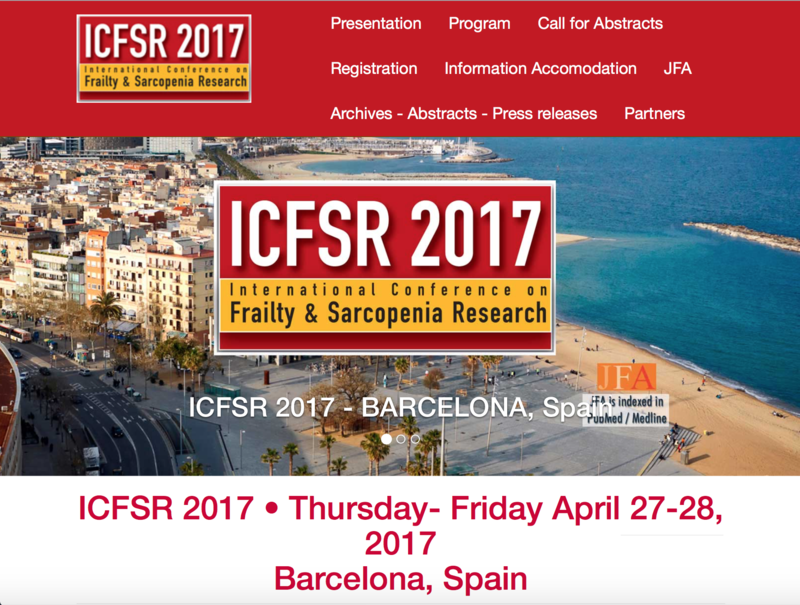 View abstracts as printed in JFA (The Journal of Frailty and Aging) – ICFSR Abstracts PDF -2016. 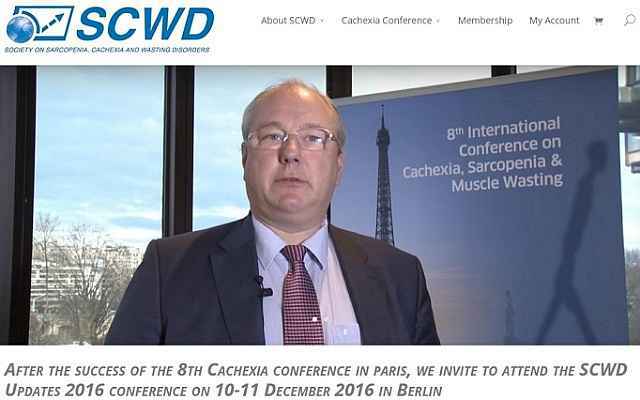 For details, see Society on Sarcopenia, Cachexia and Muscle Wasting (SCWD). 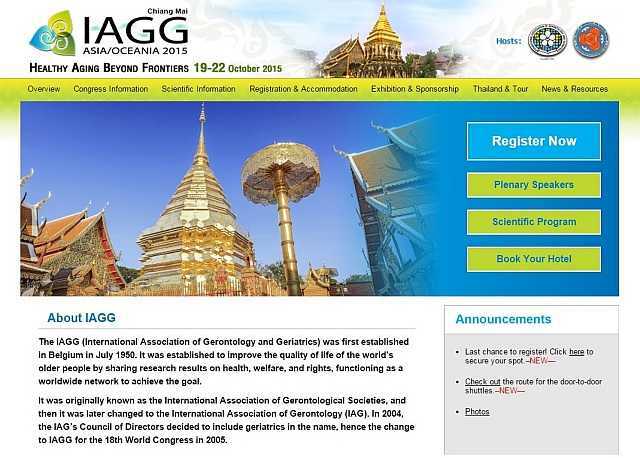 International Association of Gerontology and Geriatrics (IAGG) 10th Asia/Oceania Congress. 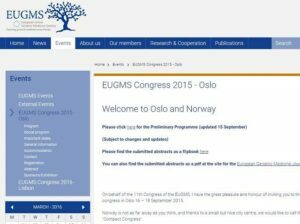 More on the Geriatrics/Gerontology conference series website. 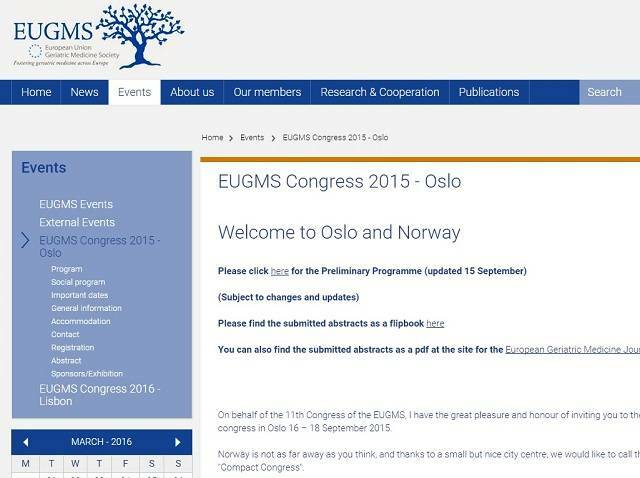 For information on the IANA congresses see UNM School of Medicine website. Organized by the International Academy on Nutrition and Aging – IANA. More on the IAGG Congress – Dublin, April 2015. Arranged by the International Association on Gerontology and Geriatrics – IAGG. 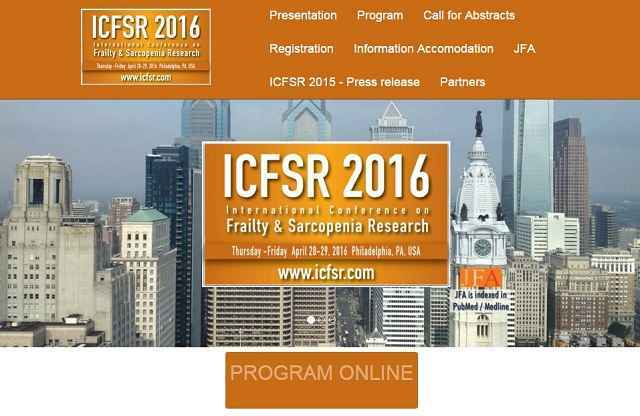 See ICSFR 2015 – International Conference on Frailty & Sarcopenia Research press release. See www.fragilite.org for more from the organizers. “Journées Annuelles de la Société Française de Gériatrie et Gérontologie”. See the website www.jasfgg2014.com. See EC Public Health/Ageing web page on Frailty in Old Age: Identifying Priorities. 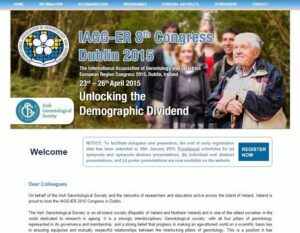 More on the 5th Panamerican Congress of Gerontology and Geriatrics. View the first congress program entitled 1er Congrès Francophone Fragilité des personnes âgées. The congress was arranged under the scientific oversight of the Toulouse Gérontopôle Research Center based in Toulouse, France. 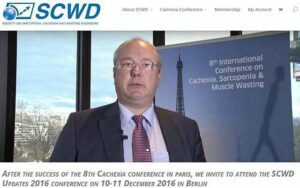 View the ICSFR 2017 program on the International Conference on Frailty and Sarcopenia Research website.